The Acerbo Law was an Italian electoral law proposed by Baron Giacomo Acerbo and passed by the Italian Parliament in November 1923. The purpose of it was to give Mussolini's fascist party a majority of deputies. The law was repealed in 1946. In 1922, Italian Prime Minister Benito Mussolini became the leader of Fascist Italy as a result of the March on Rome. However he still only had 34 deputies in Parliament and 10 Nationalist allies. He was in a weak position and relied on a coalition with other parties that could easily unravel and force King Victor Emmanuel III to dismiss him. The idea was to change the voting system from proportional representation to a system which would allow Mussolini to have a clear majority. The Acerbo Law stated that the party gaining the largest share of the votes – provided they had gained at least 25 percent of the votes – gained two-thirds of the seats in parliament. The remaining third was shared amongst the other parties proportionally. Mussolini could only count on the support of 35 Fascist deputies and 10 Nationalists. The Law was passed on a majority vote. The obvious question is why a majority of deputies from other parties voted for the Law knowing that one way or another Mussolini would gain the 25% required. The Socialists voted against it but made no effort to coordinate other parties to oppose it. 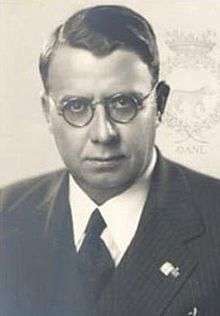 The PPI or Popolari were divided and leaderless after Mussolini had engineered the dismissal of Luigi Sturzo. The official policy was to abstain but 14 deputies voted for the measure. The smaller Liberal parties generally voted in favour. They lacked clear direction and many believed Mussolini's talk of strong government or hoped to keep their positions. There is no doubt that the presence of armed squadristi in the Chamber intimidated many into voting for the measure. An election was held straight afterwards under the new rules. Ironically Mussolini got two thirds of the vote so he would have held a clear majority under the old rules as well as the new. However, the result has to be viewed with some suspicion given widespread violence, intimidation and vote rigging. His opponents were demoralised and unable to put up any coordinated opposition. Also many of the new Fascist deputies were ex Liberal deputies who commanded a substantial personal following especially in the South. ↑ Boffa, Federico (2004-02-01). "Italy and the Antitrust Law: an Efficient Delay?" (PDF). Retrieved 2008-10-05. ↑ DeGrand, Alexander (1995). Fascist Italy and Nazi Germany. New York, New York: Routledge. p. 26. ISBN 0-415-10598-6.